What better way to ring in 2018 than with dancing, eats and drinks?! This year Little Goat Diner is going back in time, to the funky fresh 70s! Goat down tonight at Little Goat, complete with disco ball, dance floor and dj, several bars, food stations and hors d'oeuvres. Guests can expect a full belly and loads of drinks...the only thing you need to worry about is how to disco, drink bubbles, and snack at the same time! This New Year's Eve Stephanie and the Goats are teaming up with American Express for an evening to remember! $ 225.00 - for card holders only! new year's eve pre-fixe dinner at duck duck goat! 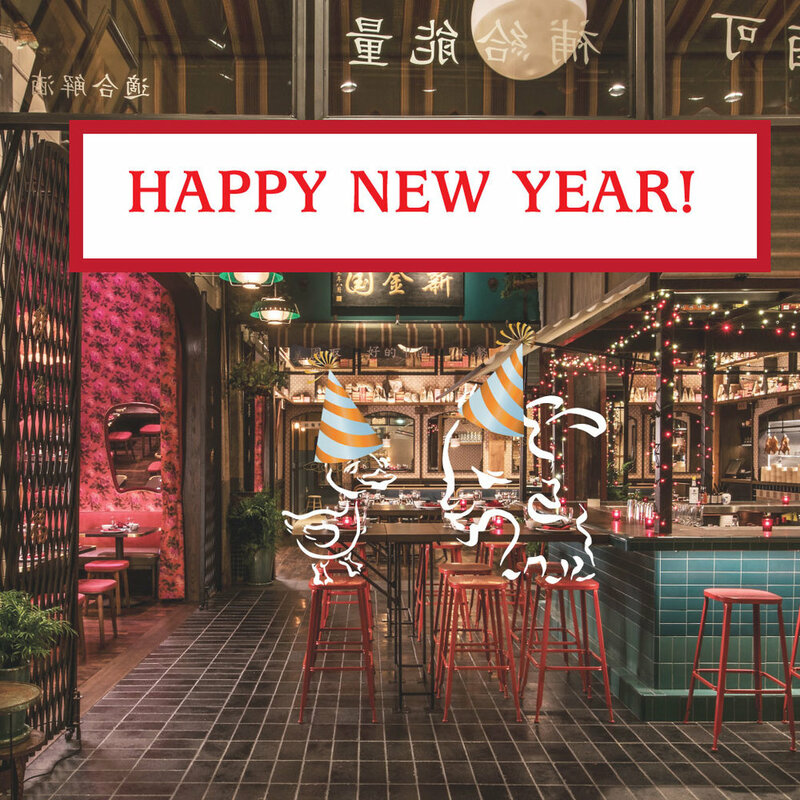 If a sit down dinner is more your New Year's style, head on over to Duck Duck Goat for a special pre-fixe dinner featuring several courses of our favorite dishes, including dumplings, noodles, rices and other duck dishes! Beverage pairings available. reservations available from 430 through midnight! $70 pre fix menu with option $30 beverage pairing.